“It’s amazing to be back in the Volvo Ocean Race with some old acquaintances as well as inspiring new talent,” revealed Fisher. “This time we’re focusing on performance, as well as a sponsorship with an important message, backed by two partners, Vestas and 11th Hour Racing, fully committed to making a positive change. Tom Johnson (AUS), fresh from the America’s Cup as part of Team ORACLE USA, steps back onto a Volvo Ocean 65 after racing last edition onboard Team Vestas Wind – and Nick Dana (USA), who competed alongside Enright and Towill, returns to the Race for a second consecutive outing as a sailor. For others, this will be their first round-the-world race. Denmark’s Olympic medallist Jena Mai Hansen joins Britain’s Hannah Diamond as one of two female sailors on board following successful trials during recent transatlantic trips from Lisbon, Portugal to Newport, USA. “It was actually my first-ever full night at sea – an intimidating but amazing experience,” explained Hansen. The race departs from Alicante on 22 October 2017. The race takes in a total of 12 Host Cities around the world, finishing in The Hague at the end of June 2018. Bouwe Bekking, the most experienced sailor in Volvo Ocean Race history, will return to skipper the seventh confirmed team in the 2017-18 edition – and give himself another chance at claiming an elusive first victory at the eighth attempt. No one has sailed more miles in the Volvo Ocean Race than Bekking, who made his first appearance as a crewmember on Philips Innovator back in 1985-86. More than 30 years on, and now aged 54, Bekking’s Volvo Ocean Race obsession has only intensified. Team backers include Brunel, the Dutch-based global project management, recruitment and consultancycompany, and its founder Jan Brand. Brunel are Volvo Ocean Race veterans themselves, having had their first involvement in 1997-98. The theme of the 2017-18 campaign is ‘Engineering the Future.’ – an initiative of a consortium of Dutch companies, including Brunel, Abel, Royal Huisman and EY. Brunel founder Jan Brand added: “Together, we are able to define new rules and possibilities for the future. Team Brunel empowers the new generation to take the helm.” With four months to go before the start of the Volvo Ocean Race 2017-18, the starting grid is almost full. The other confirmed entries are team AkzoNobel (skippered by Simeon Tienpont), Dongfeng Race Team (Charles Caudrelier), MAPFRE (Xabi Fernández), Vestas11th Hour Racing (Charlie Enright), Team Sun Hung Kai/Scallywag (David Witt) and Turn The Tide On Plastic (Dee Caffari). The return of Brunel means that for the first time in the race’s history, four major team sponsors are back for a second successive edition. As well as Brunel, Vestas, Dongfeng and MAPFRE are all back after competing in the most recent edition in 2014-15. The race will start from Alicante on 22 October, with a maximum of eight One Design Volvo Ocean 65 racing yachts in the fleet. Seven of the boats have undergone an extensive refit process after being raced in 2014-15. The eighth is a brand new yacht, built for team AkzoNobel. Bekking has been a runner-up in two previous editions but victory has always been just beyond his grasp. His first experience of ‘so near but yet so far’ came on debut in 1985-86, when he finished second onboard Philips Innovator, skippered by fellow Dutchman Dirk Nauta. In 1993-94 he was on Winston, in 1997-98 he was back with Merit Cup and four years later he competed with Amer Sports One. His first opportunity to skipper a team in the event came in 2005-06 with movistar – a race that ultimately came to an end when he and his crew were forced to abandon ship in the Atlantic. The cycle will be set after the upcoming 2017-18 edition, a change that will provide more continuity and more commercial value for professional sailing teams, sponsors and Host Cities. 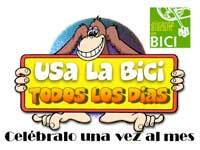 The 2017-18 edition starts 22 October from Alicante and will finish at the end of June next year in The Hague, Netherlands. The three races after that will run 2019-20, 2021-22 and 2023-24 and the tender process for Host Cities is now open for all 3 editions. This change, coupled with the new mix of stopover formats, and additional inventory, means the best ever value proposition, and flexible options, for the bidding cities around the world. The race has again engaged long-term partner The Sports Consultancy to work on Host City partnerships and develop these new opportunities, with discussions now starting with existing and potential future Host Cities. 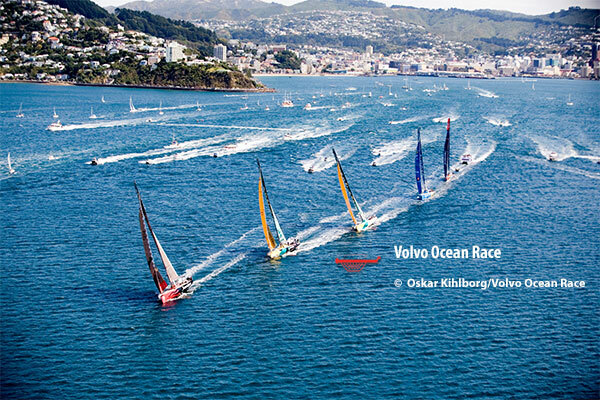 Over the last 20 years, the Volvo Ocean Race has expanded massively from the early routes that made as few as three stops around the world. The race now visits many more markets that are important to both stakeholders and fans and in 2017-18 the route takes in a total of 12 Host Cities. 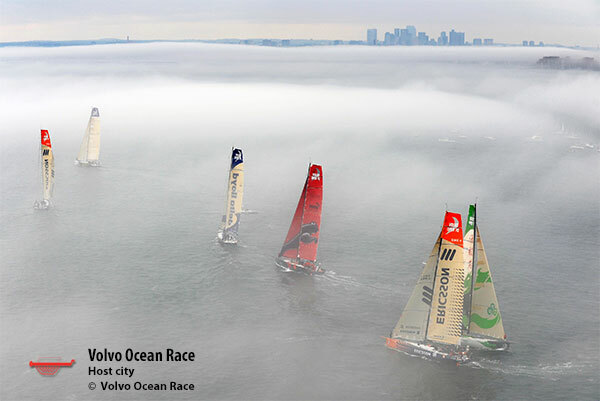 The Volvo Ocean Race is relatively unique in sports business, being owned by its joint Title Partners, Volvo Group and Volvo Car Group. This continues to provide important long-term stability to the event, something extremely valuable to other stakeholders involved in the race on team, event and host venue side. The race has already announced that the 14th edition in 2019-20 will be contested in brand new foil-assisted monohull boats. The addition of ‘flying’ multihulls for use inshore means the race will provide the toughest all-round test in sailing. The switch in cycle could also help complete the alignment of sailing’s big race calendar. For the first time in history, the Volvo Ocean Race, America’s Cup, Olympics and Vendée Globe’s 2 and 4-year cycles should be in sync with no direct overlap of the actual events. The Volvo Ocean Race was originally run every four years from its first edition in 1973-74, when it was known as the Whitbread. Since 2005-06, it has been on a three-year cycle. The race is committed to two more starts – after the 2017-18 edition – from its established home in Alicante, Spain. In the future, newly imagined race routes are possible, including starts and/or finishes outside Europe and a non-stop leg around Antarctica. “The race will always go around the world and the Southern Ocean will always, always be at the core of the challenge we set for the world’s best professional sailors, with a new non-stop full lap of Antarctica likely to be included as a leg in most editions too,” said Turner. New Zealand’s Blair Tuke is joining MAPFRE in the Volvo Ocean Race in 2017-18, and could become the first sailor in history to win the ‘Triple Crown’ of an Olympic gold medal, the America’s Cup and the Volvo Ocean Race. At the age of just 27, the Kiwi is already one of the most decorated sailors in the world – and joins the Spanish campaign fresh from New Zealand’s victory in the America’s Cup last month and an Olympic gold medal in 2016. Tuke, who has also won four consecutive 49er World Championships and was named ISAF Sailor of the Year in 2015, links up with MAPFRE skipper Xabi Fernández to take on the ultimate test of a team in professional sport – a 45,000 nautical mile race around the planet. 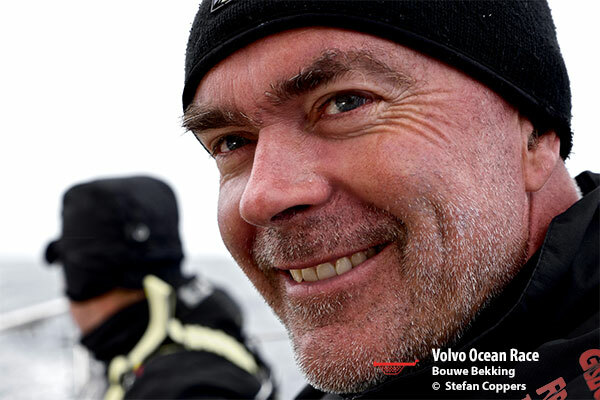 “The idea of doing the Volvo Ocean Race is something I’ve been very excited about ever since I was a little kid. Everyone closest to me has known I’ve wanted to do this race for so long, even before I did the America’s Cup and the Olympics. I’m so happy to finally have the opportunity – and to do it with MAPFRE is something I’m really looking forward to,” said Tuke. The race will be Tuke’s first competitive foray offshore, and with the One Design Volvo Ocean 65 boats set to race three times more Southern Ocean miles than in recent editions, it promises to be a steep learning curve. “I’m under no illusions as to the learning curve I’ve got in front of me – I know what it’s like to be out there and offshore, but to do it at this high level of a race is going to be new to me,” continued Tuke. Securing his spot in the Volvo Ocean Race caps an unforgettable 12 months for Tuke, who scooped an Olympic gold in the 49er class at Rio 2016 alongside his long-term sailing partner Peter Burling. The pair took first place with two races to spare, boasting a 43-point margin over their nearest challengers – the biggest gap in any sailing class since modern scoring began – to add to a silver medal achieved at London 2012. Burling and Tuke then played an integral part in Emirates Team New Zealand successful America’s Cup campaign, winning them a second major trophy in less than a year. 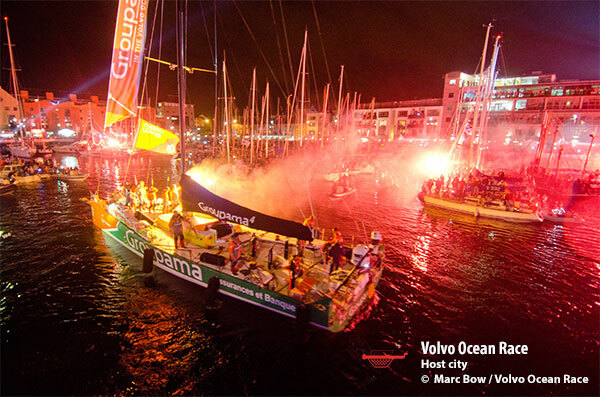 “It’s awesome to see how the whole country gets behind the Volvo Ocean Race. It’s got the Kiwis’ hearts just because of the incredible history in the race. It’s a great time to be heading to there – the reception that we’ve just received with Emirates Team New Zealand shows just what top-level sailing means to people across the country. Since 1973, winning the Volvo Ocean Race has been an obsession for the world’s best sailors, desperate to prove that they have what it takes to claim glory in the pinnacle of offshore sailing. MAPFRE skipper Xabi, who also boasts an Olympic gold and silver medal, has spent the last decade chasing victory in the Volvo Ocean Race – and has packed his squad with highly-experienced and decorated sailors ahead of the 2017-18 edition. “Blair is a really exciting sailor for the team,” explained Fernández. “Nobody can doubt his talent, and I am absolutely convinced that he will be a really strong addition to the team as trimmer and helmsman.” “We first met Blair in 2010, when we raced against Peter Burling and Blair in the last World Championships we participated in. Then, in 2012, when we were in Auckland with the Volvo Ocean Race, we trained with them in a 49er on our rest days preparing for the London Olympic Games,” explained Fernández. “In 2014-15, he joined us on MAPFRE sailing in a ProAm, and on the start day he was our ‘jumper’ for the leg start – and he told us then that he wanted to one day take part in the Volvo Ocean Race." Pedro Campos, CEO of the team, said: "It's excellent news that Blair has joined us – there is no doubt that he is one of the great names of our sport at the moment. The fact that he has accepted our invitation to join the team make us proud and demonstrates the international prestige that MAPFRE holds across the world. If we could win this edition of the Volvo Ocean Race, Blair would become the first sailor in history to achieve the 'Triple Crown': Olympic gold, the America's Cup and the Volvo Ocean Race, which will generate strong international media coverage of our team." This unique and custom lifejacket will be worn by all sailors for the 2017-18 edition. The link-up is part of a Technical Partnership Scheme which has seen the Race work closely with the sailing and marine industry leaders to develop new and innovative products capable of withstanding the toughest conditions on the planet. 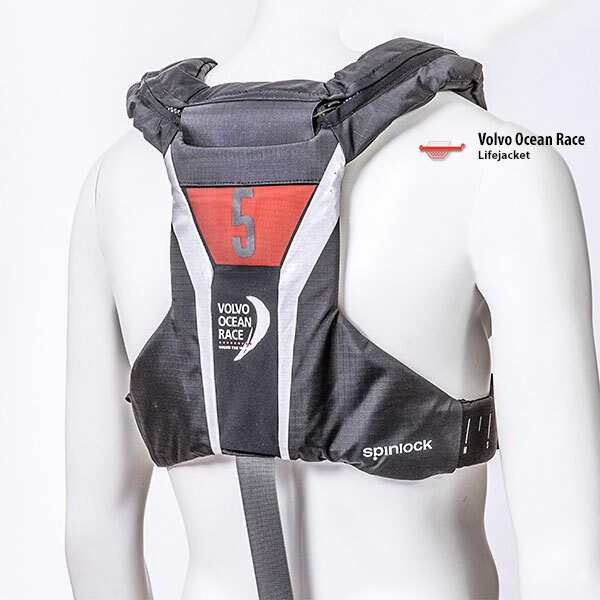 Spinlock’s new Volvo Ocean Race edition lifejacket will be worn by all sailors in the fleet as they race 45,000 nautical miles in search of the trophy. As award-winning designers and manufacturers of rope-holding equipment and personal safety products, Spinlock knows all too well the importance of solid design and durability – and as the toughest test of a team in professional sport, the Volvo Ocean Race proves an invaluable real-life test bench for their products. “The speed, the risks and the loads on the boats in the Volvo Ocean Race have increased massively over the years, yet it’s the same crew that are racing them – so it’s our job to take our products and innovate in order to try and help them out as much as possible.